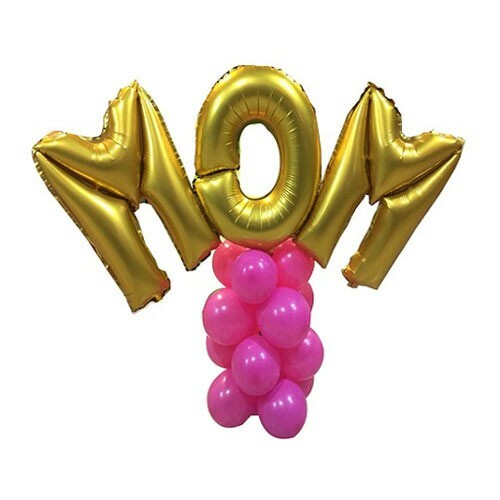 A lovely arrangement of pink balloons with a MOM in gold helium balloon. Show her that the love that you have for her is Gold. Size 85 cm in height and 85 cm in width.